The Langhe Nebbiolo 'No Name' by Borgogno comes from the best grapes of Nebbiolo grown in the Langhe area, that give us an elegant and fragrant Nebbiolo. It ages in large oak barrels which enhance the elegance of Nebbiolo that after three years of ageing it will become No Name. 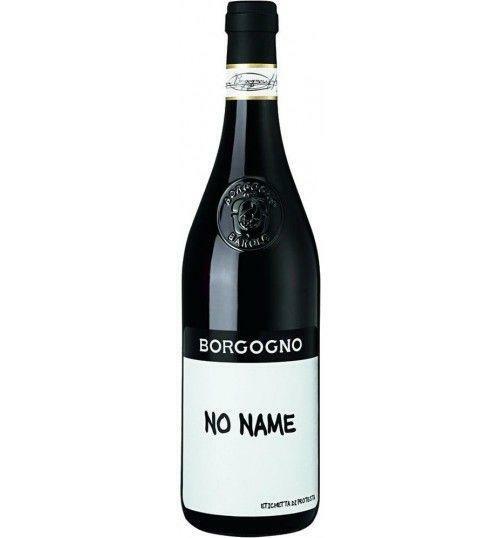 'No name' a thought against the exaggerated bureaucracy that afflicts the world of Italian wine and agriculture. 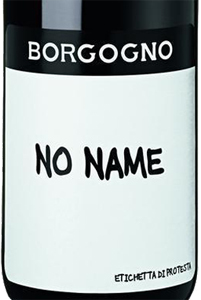 THE WINE The Langhe Nebbiolo 'No Name' by Borgogno comes from the best grapes of Nebbiolo grown in the Langhe area, that give us an elegant and fragrant Nebbiolo. It ages in large oak barrels which enhance the elegance of Nebbiolo that after three years of ageing it will become No Name. 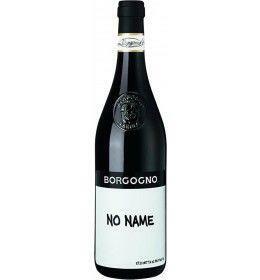 'No name' a thought against the exaggerated bureaucracy that afflicts the world of Italian wine and agriculture. THE COMPANY The name Borgogno has always been linked to one of the oldest wine producing houses in Langa and Piemonte. It all began in 1761 when Bartolomeo Borgogno established the cellar. In the years that followed, the stories of the company and our country often intertwined. In 1861, for instance, when the Unity of Italy came about, the Barolo di Borgogno was the wine chosen to accompany the celebration lunch of Italy’s official unity. The absolute leading figure of the new century was Cesare Borgogno. The youngest of the five siblings, he took over management in 1920. A striking and charismatic figure, he immediately conveyed a sense of enthusiasm and brought about substantial innovations. The genius of Cesare gave rise to a tradition that today would seem utterly foolish: a portion of the wines of the best years are set aside and coveted away in the dark canteens for almost twenty years. And so began the collection of the best millennium of Barolo. Thanks to this intuition, this has become par for the course. Even today the cellars represent a rare moment in Langa’s history. In the second half of the 1950s, the refurbishment of the cellars was completed and the company took on the current name of “Giacomo Borgogno & Figli” in 1967. Upon the death of Cesare Borgogno in 1968, the running of the company passed to his granddaughter Ida and her future husband, Franco Boschis, who had both been closely involved in the operation, and then to their children Cesare and Giorgio. 2008 marks another significant step in the history of Borgogno: the company is taken over by the Farinetti family. The following years saw the completion of the major renovation of the main building that returns it to its original look; in keeping with tradition, no changes are made to the 1761 historical cellars. In 2012 Andrea Farinetti, having completed oenology studies, is at the helm of the company. Tasting Color: intense garnet deep, delicate and elegant. Bouquet: noble, in which the dried rose and almond blossom are accentuated. Taste: complete and gentle, round; is an aristocratic cloth wine. The name Borgogno has always been linked to one of the oldest wine producing houses in Langa and Piemonte. It all began in 1761 when Bartolomeo Borgogno established the cellar. In the years that followed, the stories of the company and our country often intertwined. In 1861, for instance, when the Unity of Italy came about, the Barolo di Borgogno was the wine chosen to accompany the celebration lunch of Italy’s official unity. The absolute leading figure of the new century was Cesare Borgogno. The youngest of the five siblings, he took over management in 1920. A striking and charismatic figure, he immediately conveyed a sense of enthusiasm and brought about substantial innovations. The genius of Cesare gave rise to a tradition that today would seem utterly foolish: a portion of the wines of the best years are set aside and coveted away in the dark canteens for almost twenty years. And so began the collection of the best millennium of Barolo. Thanks to this intuition, this has become par for the course. Even today the cellars represent a rare moment in Langa’s history. In the second half of the 1950s, the refurbishment of the cellars was completed and the company took on the current name of “Giacomo Borgogno & Figli” in 1967. Upon the death of Cesare Borgogno in 1968, the running of the company passed to his granddaughter Ida and her future husband, Franco Boschis, who had both been closely involved in the operation, and then to their children Cesare and Giorgio. 2008 marks another significant step in the history of Borgogno: the company is taken over by the Farinetti family.